Modern understanding of the relation between the mutated cancer stem cell and its site of origin and of its interaction with the tissue environment is enhancing the importance of developmental anatomy in the diagnostic assessment of posterior fossa tumors in children. The aim of this review is to show how MR imaging can improve on the exact identification of the tumors in the brainstem and in the vicinity of the fourth ventricle in children, using both structural imaging data and a precise topographical assessment guided by the developmental anatomy. The development of the hindbrain results from complex processes of brainstem segmentation, ventro-dorsal patterning, multiple germinative zones, and diverse migration pathways of the neural progenitors. Depending on their origin in the brainstem, gliomas may be infiltrative or not, as well as overwhelmingly malignant (pons), or mostly benign (cervicomedullary, medullo-pontine tegmental, gliomas of the cerebellar peduncles). In the vicinity of the fourth ventricles, the prognosis of the medulloblastomas (MB) correlates the molecular subtyping as well as the site of origin: WNT MB develop from the Wnt-expressing lower rhombic lip and have a good prognosis; SHH MB develop from the Shh-modulated cerebellar cortex with an intermediate prognosis (dependent on age); recurrences are local mostly. The poor prognosis group 3 MB is radiologically heterogeneous: some tumors present classic features but are juxtaventricular (rather than intraventricular); others have highly malignant features with a small principal tumor and an early dissemination. Group 4 MB has classic features, but characteristically usually does not enhance; dissemination is common. Although there is as yet no clear molecular subgrouping of the ependymomas, their sites of origin and their development can be clearly categorized, as most develop in an exophytic way from the ventricular surface of the medulla in clearly specific locations: the obex region with expansion in the cistern magna, or the lateral recess region with expansion in the CPA and prepontine cisterns (cerebellar ependymomas, and still more intra-brainstem ependymomas are rare). Finally, almost all cerebellar gliomas are pilocytic astrocytomas. 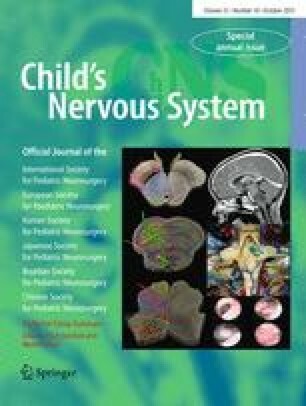 A developmental and anatomic approach to the posterior fossa tumors in children (together with diffusion imaging data) provides a reliable pre-surgical identification of the tumor and of its aggressiveness. We have no conflict of interest.